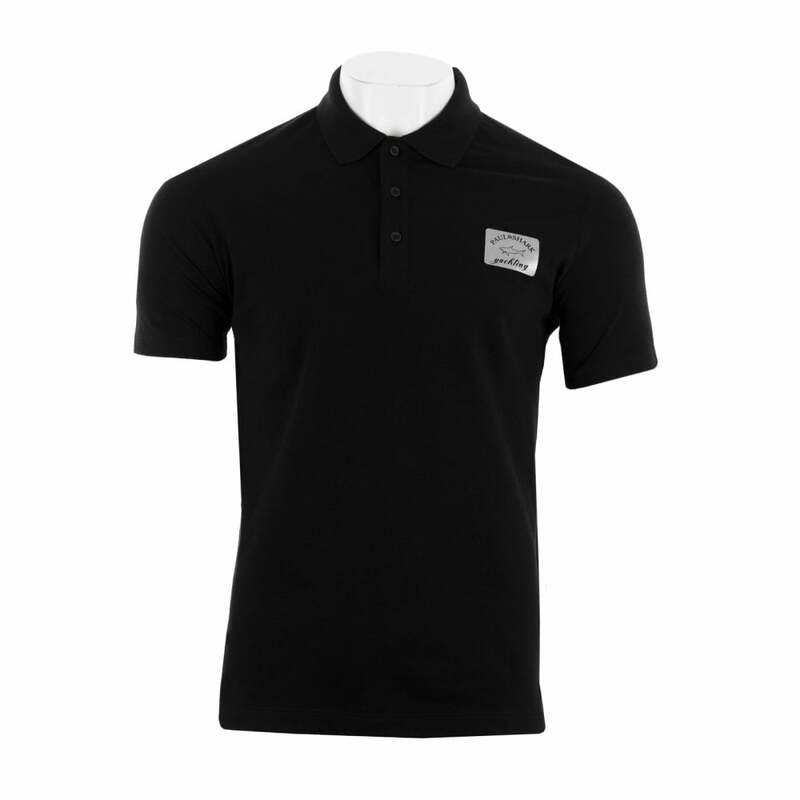 This Paul & Shark Reflective Patch Polo Shirt is 100% cotton and is black in colour. It is short sleeved with a three button polo collar. Paul & Shark branding appears in reflective silver on the chest and on the buttons.